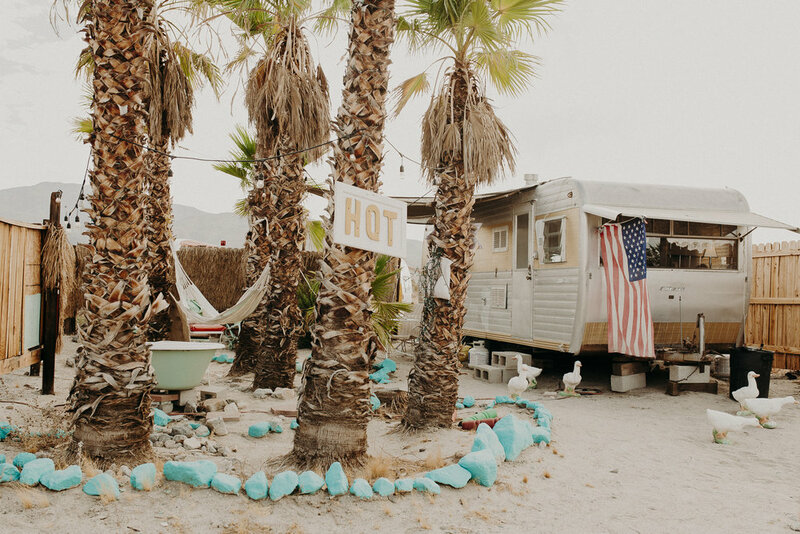 When looking for the perfect place to stay in Palm Springs, I stumbled upon this gorgeous Airstream owned by Sarah! It was the most idilic place that I could imagine staying while visiting Palm Springs for the first time. We arrived late at night to find that the Airstream was cool and welcoming, and Sarah had left some fresh nectarines for a late night snack. While the Airstream is the perfect place to stay for one to three people, it would be a bit cramped for any more than that. So Sarah also offers some additional accomodations on the same property, which allows you to bring a whole crew if you wish! It would be the perfect location to stay when visiting for local events and music festivals (ahem. Coachella. ahem)! Sarah's Ranch House and Desert Hideaway Trailer are both so beautiful. 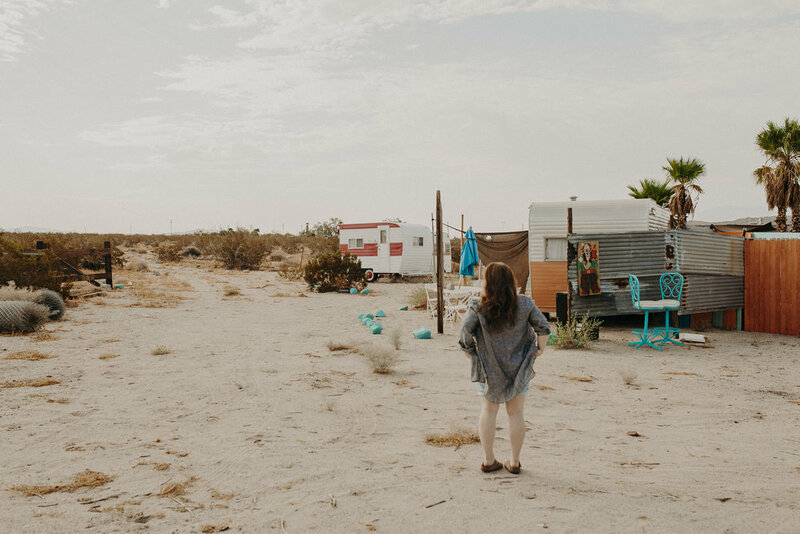 With the Ranch House able to sleep multiple people and the Desert Hideaway able to sleep two to three, Sarah's Airbnb accomodations make for the perfect group getaway! If you're looking to plan your next trip or know that you're heading to Palm Springs soon, be sure to book with Sarah for the most authentic and exciting Palm Springs experience out there!